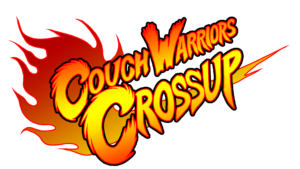 Over 500 attendees participated in the inaugural CouchWarriors Crossup esports event, combining our traditional end of year community ranking battle across a wide range of fighting games, and special events. 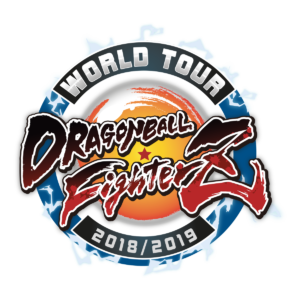 For the first time, we were pleased to host a Saga event for the Dragon Ball FighterZ World Tour with international pro talent, and a surge of new players for Super Smash Bros Ultimate, alongside free events for Splatoon 2 and preview of Dead or Alive 6. Dragon Ball FighterZ (78 entrants): Japanese Champion Kazunoko takes his 4th Saga event title. Top Australian results – Falco (Adelaide) 9th, Baxter (Brisbane) 13th, Dailo (Sydney) 13th, and MajinBeng (Melbourne) 13th. The final match was a heartbreaker for 2nd place Tachikawa (JP) who came so close, and the anguish of the loss is evident in the series of shots shown here. Super Smash Bros Ultimate (154 entrants): Long running Smash 4 champion DS Extra has on of the closest grand finals he’s faced, with Melbourne regular Ignis making his first grand final and pushing hard with a bracket reset and just going down 3-2. 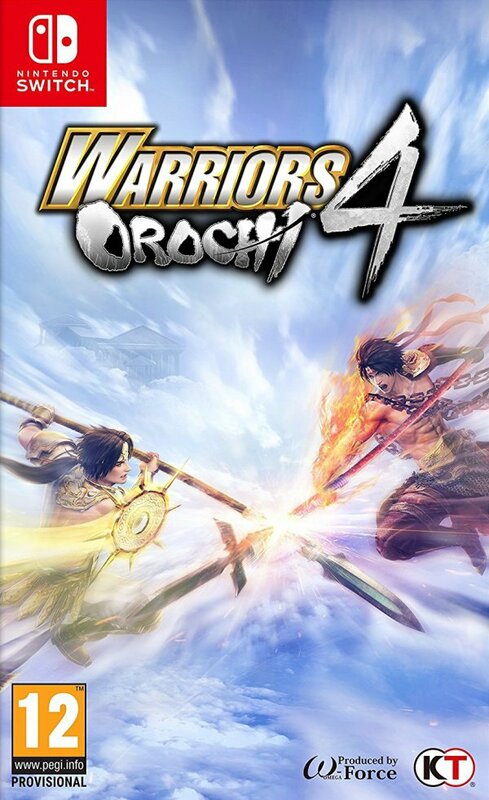 Thanks to our sponsors we have a great set of prizes to give away at CouchWarriors Crossup! 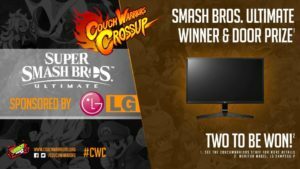 Ordered by game, here are the prizes you can win by playing at or in some cases watching on stream, the action at CouchWarriors Crossup! Each of the 10 Tournaments below will have an Unlucky Lucky winner, if you play and go out 0-2, you could win a Dragon Ball Super Movie Buy One Get One Free Pass! 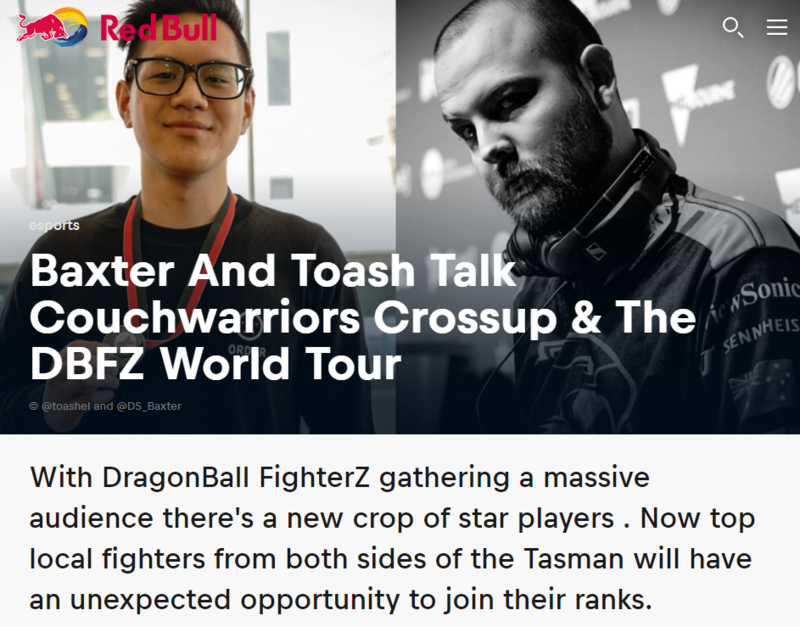 Aside from the $5,000 prize pool, 7th Dragon Ball as a trophy and trip to World Finals? Ok – sure, here are some more! 1st to 8th: Street Fighter Plushies!